Albert Aguayo’s ground-breaking experiments on the ability of the mammal’s central nervous system to repair itself following injury brought neural regeneration to the forefront of neuroscience research, where it remains a “hot topic” in the field. 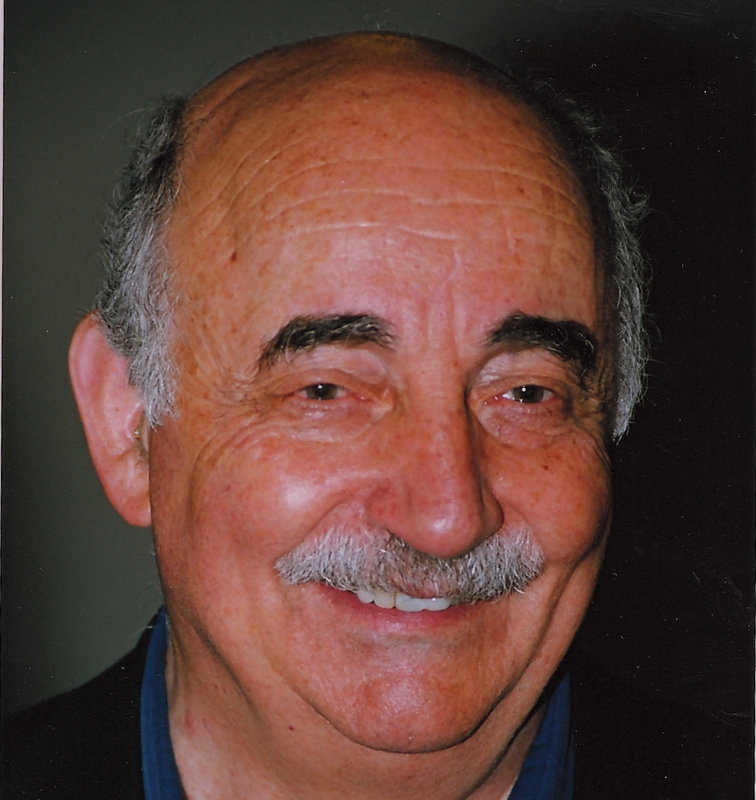 Aguayo also served as the president of the International Brain Research Organization and played a large role in the creation of the IBRO-Canada International School of Neuroscience. Albert Aguayo was born in Argentina in 1934. He had been interested in studying architecture “until about two weeks before registration closed,” but instead chose to study medicine. He attended the University of Córdoba, earning his MD in 1959. His interest in architecture did play a part in his choice to study the science of the brain, which in his eyes has a very aesthetic component to it. When he graduated, Aguayo took a lengthy bus trip to attend an international conference and was impressed by the way that electrodes could be used to get an impression of how an image was being processed at the brain level. Following this meeting, Aguayo collected enough money to get a flight to Canada, arriving in Toronto with about $10 in his pocket. He trained in neurology at both the University of Toronto and McGill University and became a professor at the latter in 1967. Aguayo’s main interest of study has been the mammalian central nervous system’s ability to repair and regenerate, but he initially had started with research on the interaction between peripheral nerve cells and the cells that form the myelin sheaths for these peripheral nervous system cells. Myelin is a substance which surrounds the axons of some cells, improving the speed and strength of the impulses. In 1979, Aguayo went to a meeting in Washington about spinal cord injuries where there was debate about why the nerve cells of the peripheral nervous system (PNS) were able to regenerate, but those in the central nervous system (CNS) were not. It occurred to him that the way to test this was to “dress up a central fibre as a peripheral fibre” to determine whether it was a substrate that the axon was interacting with or something intrinsic that allowed for regeneration. While the idea of neural regeneration wasn’t entirely new – Spanish anatomist and 1906 Nobel Prize winner Santiago Ramón y Cajal wrote a volume titled Degeneration and Regeneration of the Nervous System which was published in 1914 (translated and published in English in 1928) – Aguayo and his team were able to design experiments using new tools and techniques. His group was the first to demonstrate the nerve fibres and functions in the mammalian adult CNS could be repaired following an injury. His experiments on rodent brains showed that damage to the nerve cells did not lead to immediate death of said cells. In fact, with the right conditions it was possible to see regeneration. One of these conditions is the presence of the myelinating cells that are present in the PNS. Aguayo’s research created a distinguished position for neural regeneration in the field of neuroscience and it remains an important topic of study to this day. The International Brain Research Organization (IBRO) was created in 1961 to “improve communication and collaboration among brain researchers.” Following the urging of Herbert Jasper, Aguayo decided to become more involved with IBRO. He served as secretary general from 2000 to 2005 and as president from 2005-2007. During his term, the number of organizations affiliated with IBRO increased from 46 to 73 and the international school program increased six fold. Aguayo’s focus was on developing the international school system for the training of young neuroscientists. It was partially from this desire that the IBRO Canada International School arose with the help and support of the Canadian Association for Neuroscience. The initiative, celebrated its tenth year in 2016, brings people from Africa and Latin America for an intensive two week period which coincides with the annual CAN meeting so that the participants have the opportunity to meet Canadian neuroscientists. The program gets 160-70 applicants each year, with only 14 being selected to participate. Many of these participants remain in contact and some choose to return to Canada to train in the future. Aguayo has also taught at numerous IBRO-sponsored schools and programs around the world. Albert Aguayo is Emeritus Professor and the former Director of the Centre for Research in Neuroscience at McGill University. A scientific journal editor, as well as a member of several Editorial Boards, he has authored more than 150 scientific publications. He currently is a Director of the Canada-IBRO International School of Neuroscience and a member of the “Brain@McGill International Collaboration Program”. •	Honorary Memberships in several professional organizations including: the Latin American Academy of Sciences, the European Neurological Society, the Argentine Society for Research in Neuroscience, the Ontario Neuro-trauma Honorary Directorship, the American Association of Neurological Surgeons, and the Dana Alliance for Brain Initiatives Distinguished Leadership. •	Named “One of the Ten Most Influential Hispanic-Canadians”. •	IBRO-sponsored schools and courses in the Philippines, Sri-Lanka, Spain, Morocco, South Africa, Nigeria, Brazil, Uruguay and Canada. •	2006: awarded the “Cajal” lectureship chair at the Universidad Nacional Autónoma de México (UNAM). •	2007: the FRSQ/INMHA created the “Albert J. Aguayo International Fellowship in Neurosciences” to support the training in Quebec of students from developing countries. He has had many editorial and advisory roles in scientific journals, societies and foundations, including that of President of the Canadian Association for Neuroscience (1976) and the Society for Neuroscience (1987) and the Canadian Neurological Society (1979). Aguayo, A.J., Nair, C.P.V. and Midgley, R. Experimental progressive compression neuropathy in the rabbit. Arch. Neurol. 24: 358 364, l97l. Aguayo, A.J., Attiwell, M., Trecarten, J., Perkins, S. and Bray, G.M. Abnormal myelination in transplanted Trembler mouse Schwann cells. Nature 265: 73 75, l977. Richardson, P.M., McGuinness, U.M. and Aguayo, A.J. Axons from CNS neurons regenerate into PNS grafts. Nature 284: 264 265, l980. David, S. & Aguayo, A.J. Axonal elongation into peripheral nervous system “bridges” after central nervous system injury in adult rats. Science 2l4:93l 933, l98l. Duncan, I.D., Aguayo, A.J., Bunge, R.P. and Wood, P.M. Transplantation of rat Schwann cells grown in tissue culture into the mouse spinal cord. J. Neurol. Sci. 49: 24l 252, l98l. Benfey, M. & Aguayo, A.J. Extensive elongation of axons from rat brain into peripheral nerve grafts. Nature 296: l50 l52, l982. Gage, F.H., Stenevi, U., Carlstedt, T., Foster, G., Björklund, A. and Aguayo, A.J. Anatomical and functional consequences of grafting mesencephalic neurons into a peripheral nerve “bridge” connected to the denervated striatum. Exp. Brain Res. 60: 584 589, l985. Vidal Sanz, M., Bray, G.M., Villegas Perez, M.P., Thanos, S. and Aguayo, A.J. Axonal regeneration and synapse formation in the superior colliculus by retinal ganglion cells in the adult rat. J. Neurosci. 7: 2894 2907, l987. Keirstead, S.A., Rasminsky, M., Fukuda, Y., Carter, D.A., Aguayo, A.J. and Vidal-Sanz, M. Electrophysiologic responses in hamster superior colliculus evoked by regenerating retinal axons. Science 246: 255-257, 1989. Zwimpfer, T.J., Aguayo, A.J. and Bray, G.M. Synapse formation and preferential distribution in the granule cell layer by regenerating retinal ganglion cell axons guided to the cerebellum of adult hamsters. J. Neursci. 12(4): 1114-1159, 1992. Carter, D.A., Bray, G.M., Aguayo, A.J. Long-term growth and remodelling of regenerated retino-collicular connections in adult hamsters. J. Neurosci. 14: 590-598, 1994. Mansour-Robaey, S., Clarke, D.B., Wang, Y.-C., Bray, G.M., and Aguayo, A.J. Effects of ocular injury and the administration of brain-derived neurotrophic factor (BDNF) on the survival and regrowth of axotomized retinal ganglion cells. Proc. Nat. Acad. Sci. U.S.A. 91: 1632-1636, 1994. Sawai, H., Clarke, D.B., Kittlerova, P., Bray, G.M., Aguayo, A.J. Brain-Derived Neurotrophic Factor and Neurotrophin-4/5 Stimulate Growth of Axonal Branches from Regenerating Retinal Ganglion Cells. J. Neurosci, 16: 3887-3896, 1996. A. Di Polo, L.J. Aigner, R.J.Dunn, G.M. Bray and A.J. Aguayo. Prolonged Delivery of Brain-derived neurotrophic factor by adenovirus-infected Müller cells temporarily rescues injured retinal ganglion cells. Proc. Natl. Acad. Sci. USA. 95: 3978-3983, 1998.